1. What is difference between being a leaseholder or a freeholder? There are two ways to buy a property – leasehold or freehold. In essence, buying a leasehold property means you are a long-term tenant and have a legal agreement with the landlord, known as the freeholder, outlining how long you will own and occupy the property, which can be for up to 1,000 years. At the end of the lease, the freeholder regains the right to occupy the property. The freeholder on the other hand, owns the building outright and usually the land it is built on. Being a leaseholder, therefore, might sound like a problem but in fact it is nothing to worry about. Most apartments are purchased leasehold and it shouldn’t put you off buying a property if it meets your investment criteria. 2. What are the advantages of being a leaseholder? 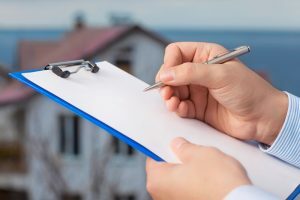 One of the advantages of being a leaseholder is that the freeholder is responsible for many of the day to day issues involved in owning a property – from maintenance and repairs to arranging buildings insurance – you simply pay for any work to be done through the service charge (which we’ll discuss in more detail later). Who should pay for the garden to be maintained? 3. What does a typical lease include? Each lease is different and will outline the length of the lease, how the building is managed, your responsibilities as the leaseholder, the responsibilities of the freeholder and details of any property management companies. 4. What is a leaseholder responsible for? Typically, the leaseholder is responsible for everything within the four walls of the property itself, including floorboards and the plaster on the walls and ceiling. They are expected to keep the apartment ‘in good order’, pay the service charge and behave in a neighbourly manner. They must pay ground rent to the freeholder and if they wish to carry out alterations to the property they should obtain consent from the freeholder. And, an important point for landlords, if they wish to let the property, they must also obtain consent from the freeholder. 5. What are the freeholder’s responsibilities? The freeholder usually owns the land on which the building stands and everything within the building itself, including the flats, the structure of the building and the common parts. They are therefore responsible for organising maintenance and repairs to the building and its communal areas, recovering the costs from leaseholders through a service charge. The freeholder is also responsible for buildings insurance (though not contents), porterage, staff, lifts, lighting and the cleaning of communal areas, again recovering the costs through the service charge. The provision of heating and hot water may also be included. 6. What does a service charge cover? The service charge is used to pay for the cost of maintaining and repairing the building and communal areas (such as the roof or communal hallway), decoration and buildings insurance. The costs are divided between all the leaseholders. The lease will outline how the service charge is calculated and what the charges are. A leaseholder is entitled to receive summaries of any costs of services provided such as insurance and see actual copies of invoices if they wish. The service charge also covers the cost of managing the building – this is usually carried out by a professional property managing agent . Is a parking space worth the investment? 7. What does the management company do? Many residential buildings have a residents’ management company, of which the only shareholders will be the leaseholders themselves. Sometimes leaseholders will obtain the Right to Manage which allows them to take on certain management responsibilities from the landlord, giving more control over how the building is managed. The management company (or Right to Manage organisation) will usually have a Board of Directors who are appointed by the leaseholders and who will make decisions about the appointment of managing agents, service charges and any work that needs to be done. The lease will outline the type of management company that exists. 8. And what is the reserve (sinking) fund? 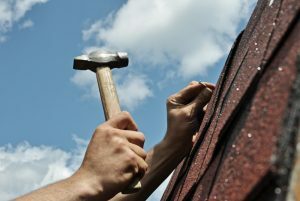 You will be asked to pay into a reserve (sinking) fund to pay for major expenses which could occur in the future such as replacing the roof of the building or decorating the exterior. These payments cannot be recovered if you sell the property. All leaseholders should be consulted in advance before any major work is carried out. You have the right to be consulted if the charges to you for planned work amount to over £250 or £100 per year for work and services lasting more than 12 months. If you think the amount proposed for any work is unreasonable or the standard of work carried out unsatisfactory, you can apply to a tribunal. Should you let your tenant redecorate their rental property? 9. How can I extend my lease? Extending the lease is usually a good idea, if possible, particularly if it has less than 82 years to run, at which point it can start to get expensive to extend it and the flat starts to lose value. The Leasehold Advisory Service has a lease extension calculator to help you work out the costs at www.lease-advice.org/calculator/. We will be covering lease extensions in more detail in a forthcoming blog. 10. Should I consider buying the freehold? You can ask the landlord (freeholder) to sell you the freehold or a share of the freehold if you wish. Ask your solicitor for advice on how to do this. As you can see, buying a leasehold property is nothing to be concerned about. 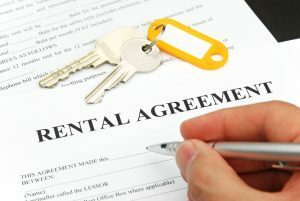 There are a number of issues you need to research and you should ask your solicitor to thoroughly check the lease to your new rental property before signing. 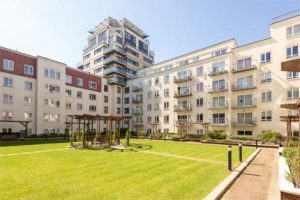 If you have any queries about leaseholds, get in touch with me, Marc von Grundherr at our Hammersmith branch on 020 8600 0960 or email us.